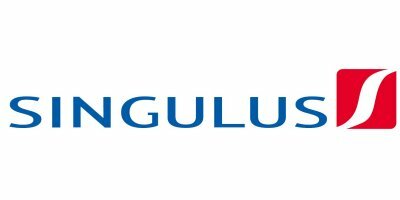 Kahl am Main: SINGULUS TECHNOLOGIES reports an increase in revenue of 39.8% to € 127.5 million for financial year 2018 (previous year: € 91.2 million). Earnings before interest and taxes (EBIT) increased significantly to € 6.8 million in 2018 (previous year: € -1.2 million). Due to the positive business development, the profit for the period in the financial year 2018 also improved to € 0.8 million (previous year: € -3.2 million). The forecast for the financial year 2018 has thus been met. Order intake of € 86.8 million was at a similar level to the previous year’s € 88.0 million. The order backlog as at 31 December 2018 was € 66.0 million (previous year: € 106.7 million). The operating cash flow of the Group was positive at € 2.5 million in 2018 (previous year: € -14.1 million). The same gross margin of 28.1% was achieved in the reporting year as in the previous year (28.1%). The number of employees in the Group increased to 343 as of December 31, 2018 (December 2017: 315 employees) as a result of recruitment of key personnel worldwide. In Germany, 293 employees were employed at the end of the year (previous year: 279 employees). 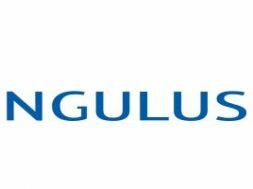 For the current financial year, SINGULUS TECHNOLOGIES expects a further increase in revenues and earnings according to IFRS. Revenues in the 2019 financial year should be within a range of € 135.0 million to € 155.0 million. Earnings before interest and taxes (EBIT) are also expected to develop positively and are expected to be within a range of € 6.0 million to € 11.0 million. 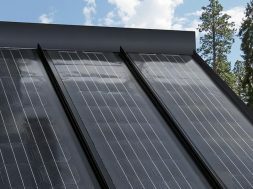 The most important sales and earnings stimuli are expected from the Solar segment and from the large project orders for investments in production lines for CIGS solar modules. On the basis of the current project planning, the basis for these increases is the realization of the ongoing projects as well as the start of the expected new projects for the planned expansions or new CIGS locations of CNBM. 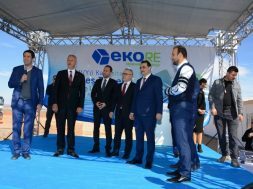 In its planning for the financial year 2019, the Management Board assumes that the signing of the supply contracts and the receipt of the corresponding prepayments will most probably be fulfilled in the coming months. For the year 2020, the company forecasts a further increase in revenue, measured by the mean of the aforementioned range. The operating result (EBIT) should rise accordingly. SINGULUS TECHNOLOGIES develops and builds innovative machines and plants for efficient and resource-saving production processes, which are used worldwide in the fields of solar, semiconductor technology, medical technology, consumer goods and optical disc. The core competencies of the company include the various processes of coating technology, surface treatment and wet chemistry as well as thermal process processes.